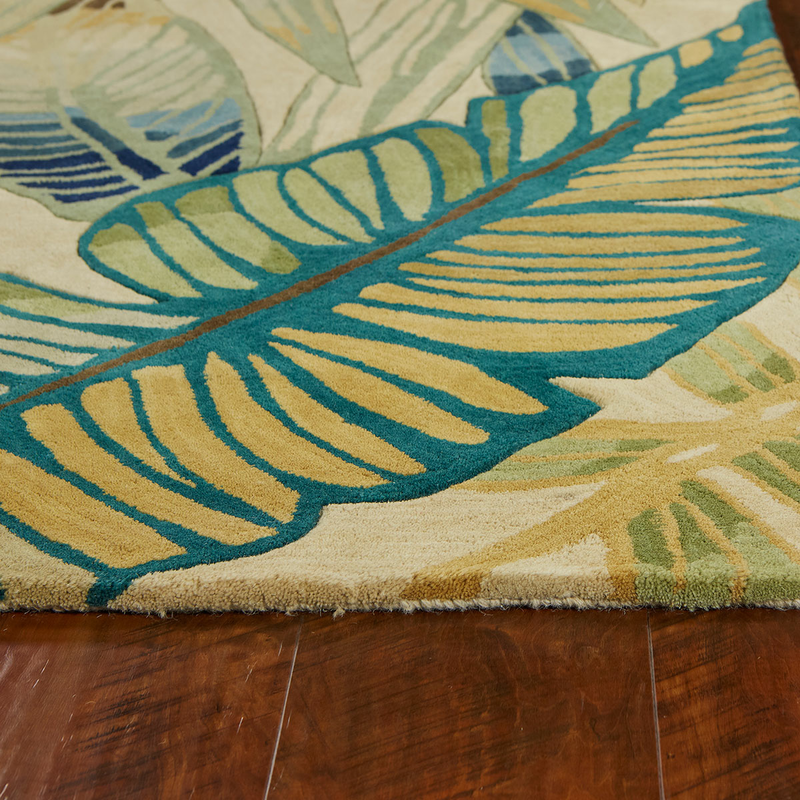 Give your living room a new coastal look with the Golden Jungle Rug - 6 Ft. Round. 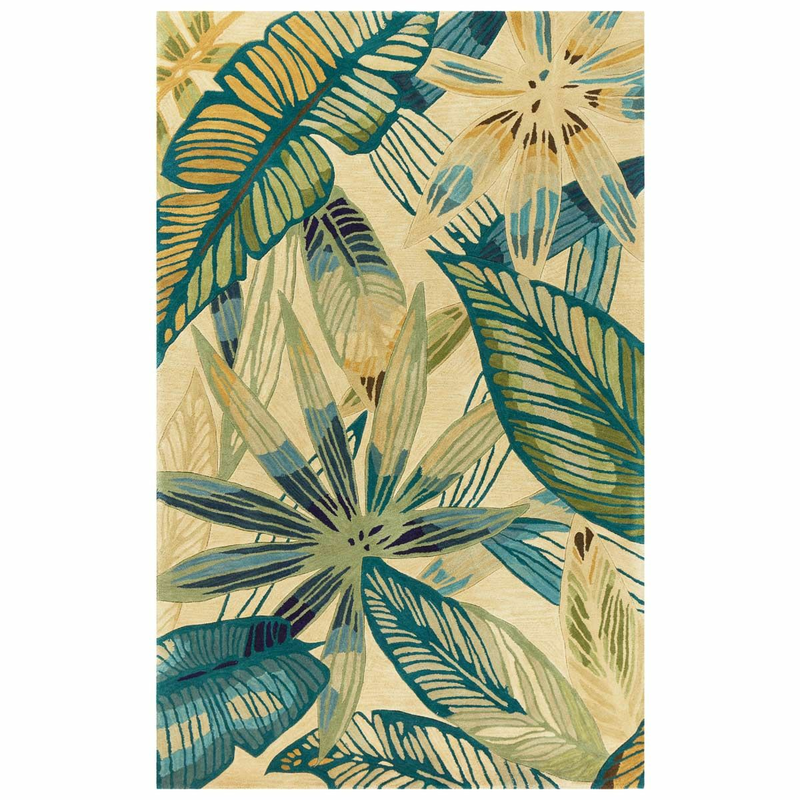 This area rug features a tropical palm leaf design in shades of gold, green and blue.